Behind Kokeena are two design-driven entrepreneurs, Aaron Gray and Russell Edwards, brought together by Horizon Air and free beer. 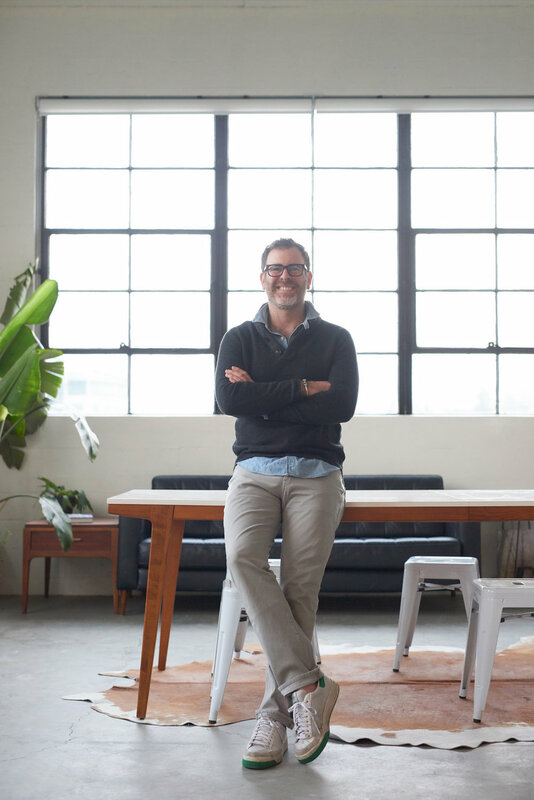 Aaron founded Kokeena in 2012 with a mission to help homeowners and designers who care deeply about design to create the kind of kitchen you fall in love with over and over again. Aaron met Russel on Horizon flight 2614 from SFO to PDX in 2013. The rest, as they say, is history. Aaron created Kokeena in 2012, but he originally had had the idea years earlier, in 2005, when he was installing IKEA kitchen cabinets in his home in Portland. He loved the robustness and modularity of IKEA's kitchen system. The cabinet boxes are rock-solid and the mounting systems are borrowed from techniques used by high-end cabinet makers around the world. The drawers and hinges are made by Blum, the world leader in European-style cabinet hardware. He wasn't in love with IKEA's selection of doors, panels and drawer fronts, however. Looking at them, they didn't inspire confidence in their quality and they didn't make his kitchen stand out as uniquely his, which is what he really wanted. At Kokeena, we think that's what everyone wants - a kitchen that uniquely reflects who we are; our core values and our personal sense of style. If you think about it, the kitchen is the place where you nurture and sustain your most important relationships. It's the room where you really live. We believe family cooks are sacred. They provide sustenance to loved ones, to family and to friends. And that's where the name Kokeena comes from. From the latin word coquina, meaning "of cooks." "My experience using IKEA in my own kitchen made me realize how difficult it can be to source truly well designed, quality doors, drawer fronts and panels for IKEA kitchens. And that's why I decided to start Kokeena. To make it easy to find and buy nice doors that are ready-made for IKEA's systems." Why the focus on IKEA? "Because I believe that you should save money where it makes sense, but that you should spend that extra bit of money on the things that will truly make you happy over time. You're going to live with your kitchen for a long time. You should fall in love with it every time you see it." Using IKEA's kitchen system as the foundation for a custom kitchen, paired with very high quality, well designed doors from Kokeena allows you to do just that. You can have a kitchen that you truly love - a high-end custom kitchen that you will fall in love with over and over again - without breaking your budget. Russell is an Interior Designer with a background in commercial furnishings and project management. Having spent a lot of time creating a designer's paradise at home, Russell had been looking for a way to move out of commercial furnishings and into the more personal spaces where people live when he happened to sit next to Aaron on a Horizon Air flight home from supervising another commercial project. Horizon Air is well known in the Northwest for offering free NW-brewed craft beer on its flights. A few glasses in, Russell and Aaron were chatting away about design, entrepreneurship and random opportunity, which is what seemed to be emerging here. While Russell was looking to make a move, to seize an opportunity, Aaron had been thinking that it might be time to move beyond being a solo entrepreneur, so they exchanged contact information and agreed to meet. After a few months of meetings, idea sharing, and negotiating Russell became a partner in Kokeena and took over day-to-day operations so Aaron could work on another company he'd started in the meantime. And that's pretty much where we are today. Russell keeps the show running while Aaron helps in the background with product development, strategy and other stuff Russell is too busy for.